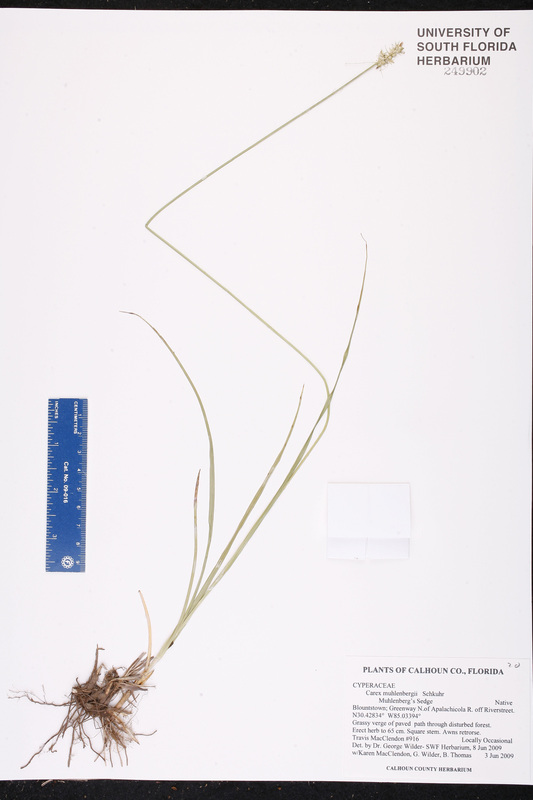 Species: Carex muehlenbergii Schkuhr ex Willd. Citation CAREX MUEHLENBERGII Schkuhr ex Willdenow, Sp. Pl. 4(1): 131. 1805. Vignea muehlenbergii Vignea muehlenbergii (Schkuhr ex Willdenow) Rafinesque, Good Book 27. 1840. BASIONYM: Carex muehlenbergii Schkuhr ex Willdenow 1805. 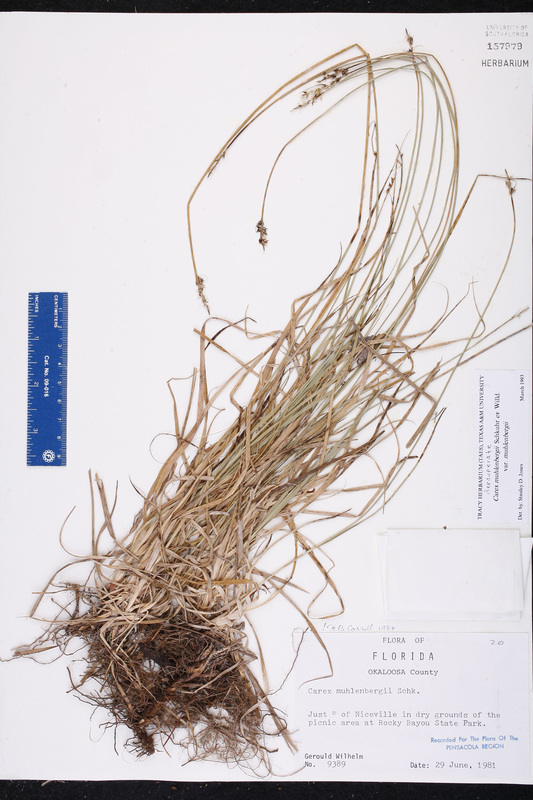 Carex arkansana Carex arkansana (L. H. Bailey) L. H. Bailey, Bot. Gaz. 21: 6. 1896. 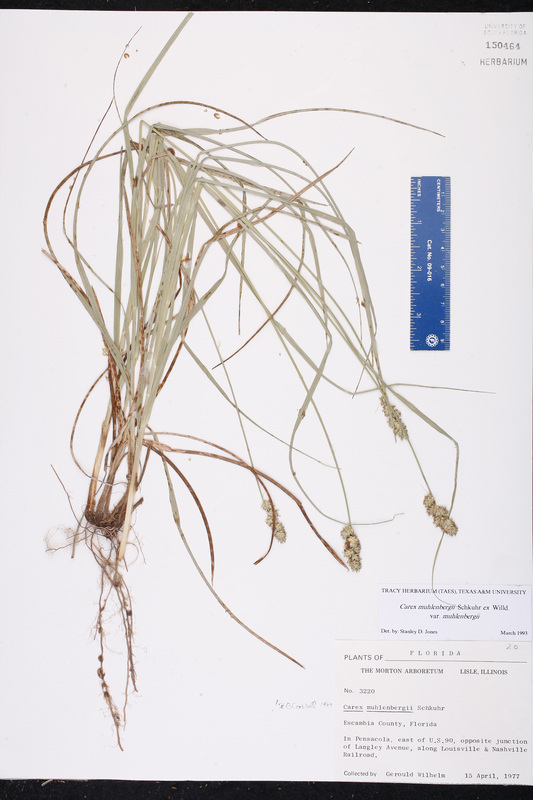 BASIONYM: Carex rosea Schkuhr ex Willdenow, var. arkansana L. H. Bailey 1888. Carex austrina Carex austrina Mackenzie, Bull. Torrey Bot. Club 34: 151. 1907. BASIONYM: Carex muehlenbergii Schkuhr ex Willdenow, var. austrina Small 1903, nom. illegit. ; Carex muehlenbergii Schkuhr ex Willdenow, var. australis Olney ex L. H. Bailey 1886. Carex lunelliana Carex lunelliana Mackenzie, Bull. Torrey Bot. Club 42: 615. 1915. TYPE: MISSOURI: Jackson Co.: Oak Grove, 2 Jun 1913, Bush 7020 (holotype: NY). Carex muehlenbergii var. australis Carex muehlenbergii Schkuhr ex Willdenow, var. australis Olney ex L. H. Bailey, Proc. Amer. Acad. Arts 22: 141. 1886. TYPE: TEXAS: Harris Co.: Houston, 1872, Hall 730 (holotype: ? ; isotype: NY). Carex muehlenbergii var. 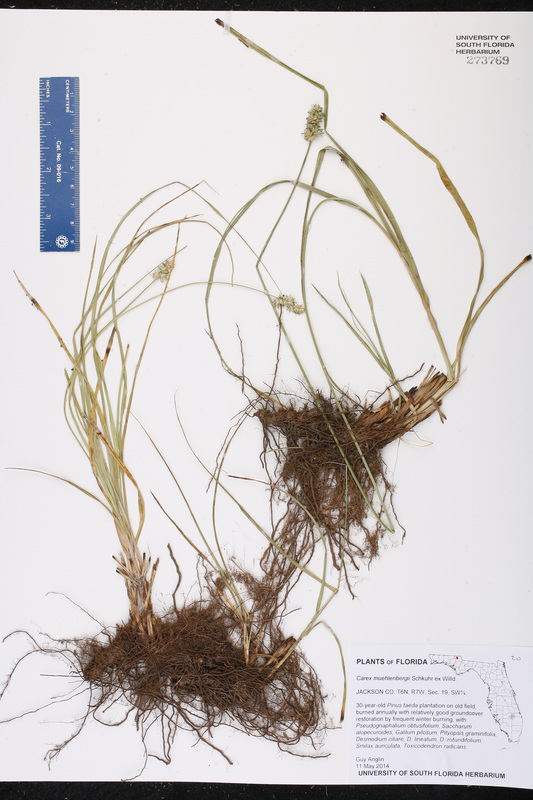 austrina Carex muehlenbergii Schkuhr ex Willdenow, var. 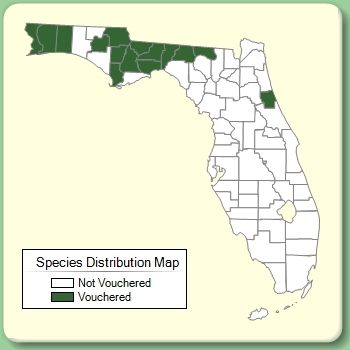 austrina Small, Fl. S.E. U.S. 218. 1903, nom. illegit. BASIONYM: Carex muehlenbergii Schkuhr ex Willdenow, var. australis Olney ex L. H. Bailey 1886. Carex onusta Carex onusta Mackenzie, Bull. Torrey Bot. Club 42: 618. 1915. TYPE: TEXAS: Tarrant Co.: Without locality, 24 Apr 1914, Ruth 458 (holotype: NY). Carex plana Carex plana Mackenzie, Bull. Torrey Bot. Club 50: 350. 1923. BASIONYM: Carex muehlenbergii Schkuhr ex Willdenow, var. enervis Boott 1862. Carex rosea var. arkansana Carex rosea Schkuhr ex Willdenow, var. arkansana L. H. Bailey, Bot. Gaz. 13: 87. 1888. TYPE: ARKANSAS: Pulaski Co.: La Fourche Creek, near Little Rock, s.d., Hasse s.n. (holotype: ?). USA Florida Jackson Co. 11 May 2014 G. Anglin s.n.